-Remove your existing mat before use our ring clamp set. -Pay attention not to hurt your fingers or hand from the sharp edge of the ring. 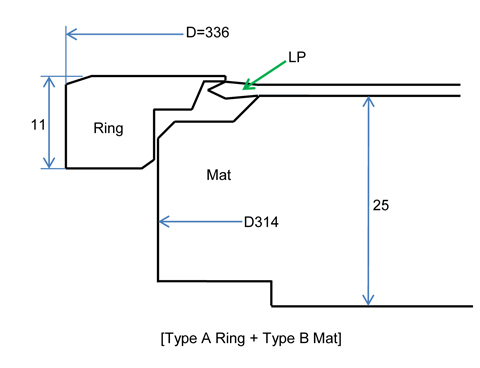 -Refer the ring size and check whether your turntable can adopt our ring. Click the button below to add the Outer Ring Clamp & Mat - (Type A Ring + Type B Mat) to your wish list.